Heat the oil in a heavy skillet over medium heat. Cook thighs until browned, about 5 minutes. Flip and brown the other sides, another 5 minutes. Remove from skillet and set aside. Drain off about half the fat (or leave it all in if there isn’t too much), then add the shallot. Cook, stirring, until the shallot is softened, about 5 minutes. Add rosemary and cook another minute. Add the cider and broth and scrape up the browned bits. 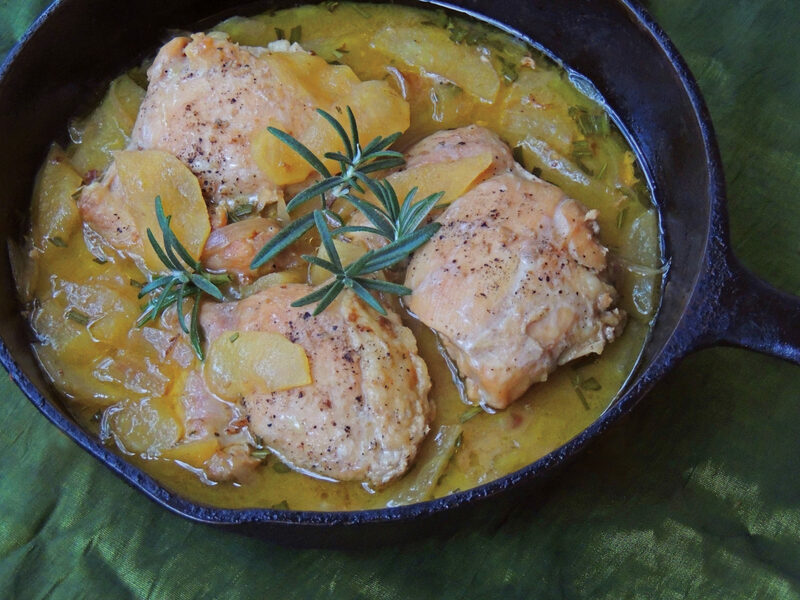 Return chicken to pan and nestle the apple slices in with the chicken. 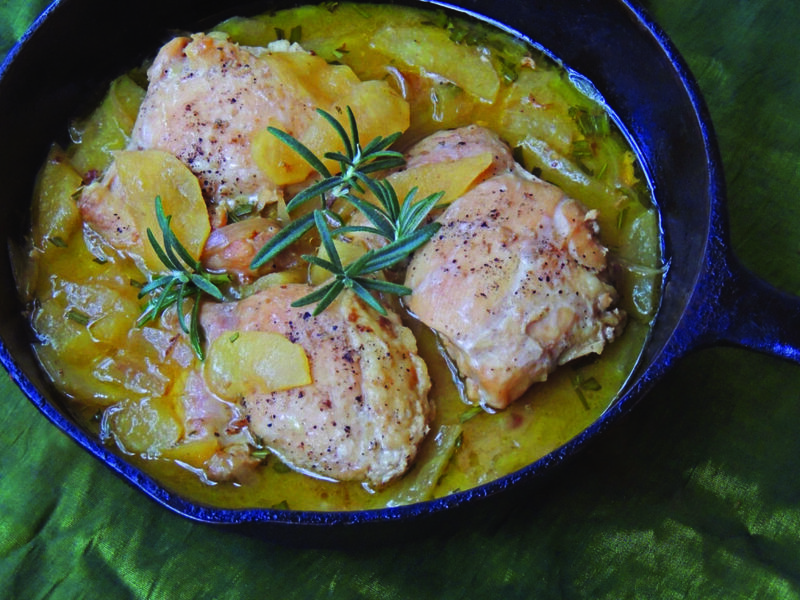 Cover the pan and cook until the thighs are fully cooked and the apples are tender, about another 15 minutes. Serve with mashed potatoes, wild rice, or noodles.